Cassandra Clare was born to American parents in Teheran, Iran and spent much of her childhood travelling the world with her family. After college, Cassie lived in Los Angeles and New York. She started working on her YA novel, City of Bones, in 2004, inspired by the urban landscape of Manhattan, her favourite city. City of Bones became the first book in the original The Mortal Instruments (TMI) series, which also includes City of Ashes, and City of Glass. 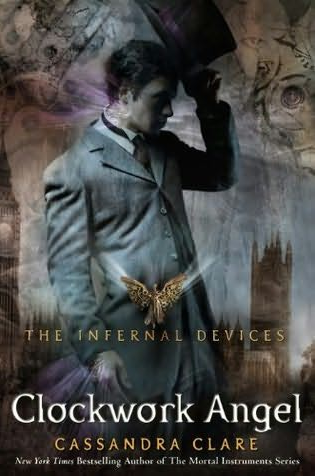 Clare is now concurrently working on a follow up TMI series, which includes City of Fallen Angels (2010), City of Lost Souls (May 2012) and City of Heavenly Fire (2013), and a trilogy set 300 years before TMI, called The Infernal Devices, which includes Clockwork Angel (2010), Clockwork Prince (2011) and Clockwork Princess (late 2012). When sixteen year old Tessa Gray arrives in England during the reign of Queen Victoria, something terrifying is waiting for her in London’s Downworld, where vampires, warlocks and other supernatural folk stalk the gas-lit streets. Friendless and hunted, Tessa seeks refuge with the Shadowhunters, a band of warriors dedicated to ridding the world of demons. Drawn ever deeper into their world, she finds herself fascinated by – and torn between – two best friends and quickly realises that love may be the most dangerous magic if all. Cassandra Clare delivers a fascinating tale set in Victorian times in Clockwork Angel. I found the story to be engaging and very different to The Mortal Instruments books. The plot twists are fun and unpredictable, and I really loved the ending. I think Clare uses a great story to explore issues such as identity and familial relationships. While the story features a romance, and follows the lives of teenagers, in many respects I find that this book deals with real life issues in a way that City of Bones did not. The author has obviously researched extensively into the customs and mannerisms of the time to write the book. Although Tessa’s sense of propriety sometimes made me weary, I am aware that in those times, that is exactly how a young girl should have behaved. It is an indication of the calibre of Clare’s fiction writing that the Victorian clothes, the city of London and the magic of the Shadowhunters and the Downworlders blend seamlessly. Tessa herself is an interesting heroine. She is brave and selfless, and, despite not being trained as a Shadowhunter, is willing to fight alongside them. The Shadowhunters in question are both mysterious and interesting. William and James are parabatai – fighting partners who are closer than most brothers. Will is a strong character who I really liked, but it was Jem’s steadiness that won me over. The peripheral characters are intriguing as well, Charlotte, who runs the Institute with her husband Henry, and has taken in orphaned Shadowhunter children from all over the world. Cassandra Clare’s characters are amazingly realistic and accessible, as I have come to expect from her. Clockwork Angel is a great novel which sets up The Infernal Devices trilogy, and I expect great things from the series as it progresses. 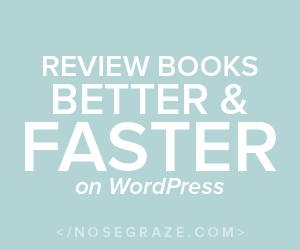 If you have read Clare’s other works, and haven’t read this book, then you are missing out.